As I’ve said else where (mainly Facebook and Google+, but also here), I’ve been working on translating a whole book from Japanese to English. This is no small undertaking. In fact, it’s quite a big thing for a single person to be doing – we’re talking 200+ pages of Japanese text. I’m going to be releasing the translation for free once it’s finished. However, the source for it is being hosted over on my GitHub page at the minute. I say “source”, because I’ve decided to write it in TeX rather than using a word processor. This means that I’ll be able to make use of GitHub’s difference tracker – everytime I update any of the source files on GitHub, a backup is made and changes are marked. That way, if I make a huge mistake, I can push a few buttons and revert back to how it was before the mistake was made. Also, due to the distributed nature of GitHub, anyone can take my translation and tweak it – as long as they push it back to the master branch. Making it an Open Source translation project of a Japanese book (something that, unless my Google-Fu is weak, has not been done before). 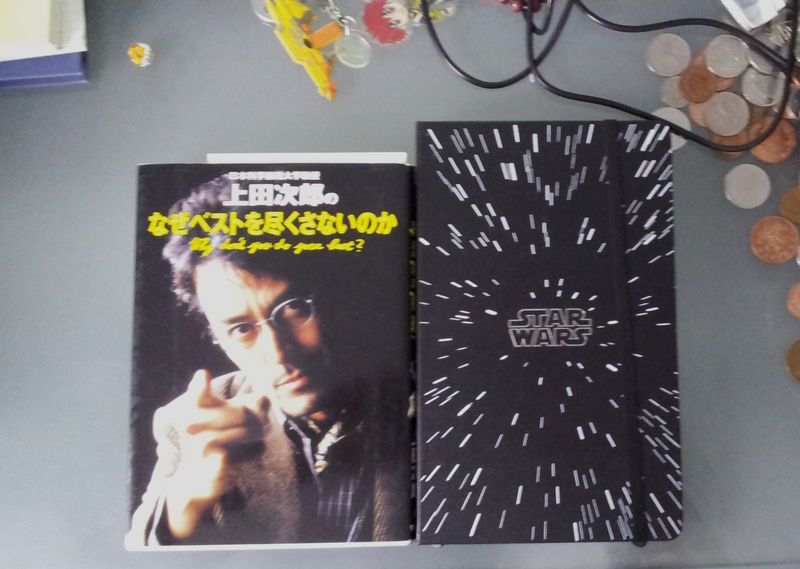 Technically, I started this project on the day that I received the book that I’m going to translate. Incidentally, it was also the day that I put up the blog post I linked in the first sentence (May 18th 2012). But my first commit to GitHub wasn’t until May 19th – the next day. So, Why No Posts Until Now? Hey, this isn’t a F.A.Q! That being said: To be honest, I hadn’t though of putting anything about it up on here about my current progress until a few minutes ago. I had an idea of sharing the Kanji and grammar related things that I’d learned during this project so far. Well, I’ve managed to translate the first couple of sentences of the introduction. That doesn’t sound like a lot. But when you consider that this is my first translation project, and that I have no idea how professionals go about this sort of thing, AND that I’m still learning as I go along, I think that you’ll agree that I’m doing OK. I mean, how many books have you translated from Japanese to English? Make that: How many cooky, strange books, in formal Japanese, have you translated to English? How’re You Going About It? Currently, I’m copying out whole paragraphs (are they called paragraphs if they’re written vertically?) into a Japanese exercise book. 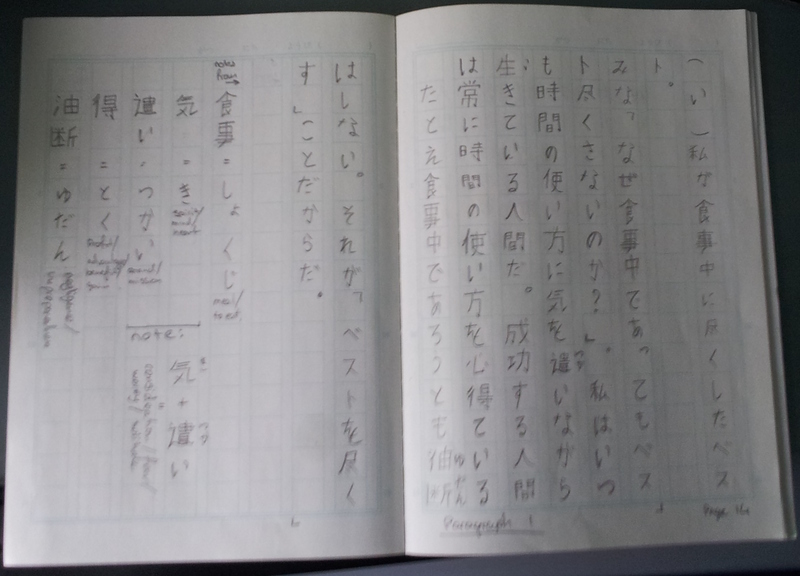 I’m then looking up the Kanji that I don’t know, or am a little rusty with, and writing notes in the margins. Once that’s done, I’m typing the “section” (if you want to call it that), with all the notes I’ve made, into a text editor. Then I’m using the notes and my own knowledge to translate each sentence, one by one. Sure. The following is a direct quote from the book. I mean to break no copyright law by including this quote here. The first line is the actual quote, the second line it attribution to the original source. 人生を変える means that something (in this case １３文字) will change the life of the [implied] reader’s life. １３文字 means 13 characters. Ueda is referring to the fact that なぜベストを尽くさないのか (Naze besto tsuku sanai no ka) is 13 characters long. Ueda is talking about how the title of the book will change the readers life, but it talking directly to them. Thus, the second sentence in the book, and a very strong claim, is that the title of the book will change the readers life. To be honest, I haven’t gotten much further than this. I have copied out the whole of the introduction into my exercise book, I’ve also added notes into the margins. But I haven’t gotten around to typing these notes up yet. I’m trying to keep a complete log of everything I’m doing for this translation. There are several reasons for this, the chief among them being that I can then recreate this system when I come to translating any other Japanese books. Also, I’m doing this to aid in error checking. We all know how easy it is to spell a word wrong. But imagine if that incorrect spelling was in another language, and that you translated that incorrect spelling. This would result in an incorrect translation. By keeping a complete log of each step, I’m minimising the chances of that happening. I’m also doing this so that – if I’m successful in translating this book – there’s a permanent record of my method online. This will serve two purposes: 1) If I ever decide to take up translation full time, I can show this project to potential employers and 2) Other people who want to translate books (language agnostic) will have a valid place to start from, and a set of steps that they can follow to help them. Well, that’s where I’m up to with this project. Tags: GitHubNaze best tsuku sanai no ka?Naze DiariesTranslationTranslation ProjectUeda Jiroなぜベストを尽くさないのか?上田次郎人生を変える最終の１３文字.